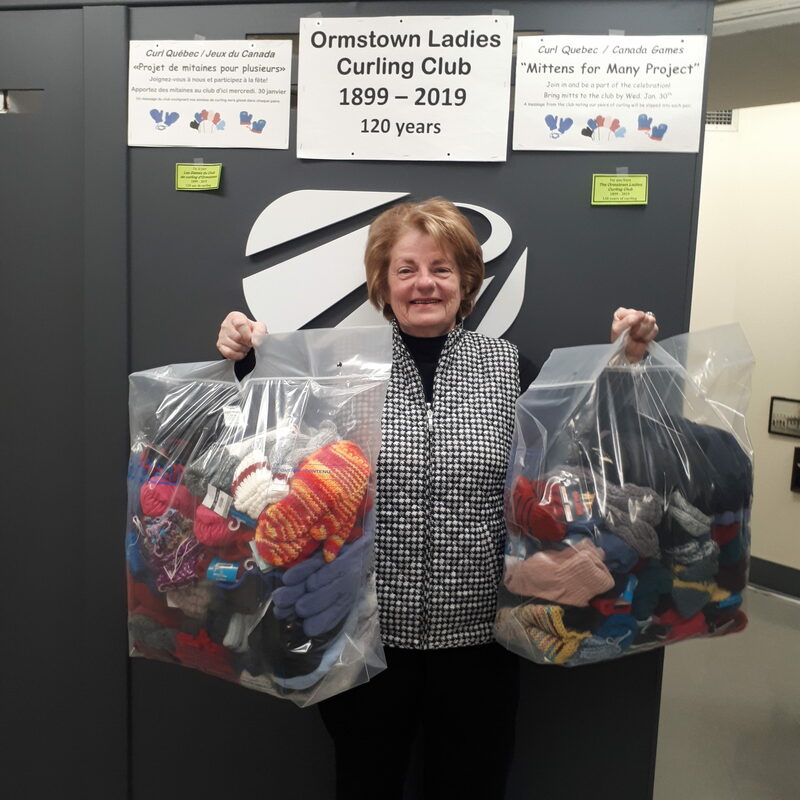 A big THANKS to the ladies of the Ormstown curling club and their ambassador Karen Harrison for bringing us 72 pairs of gloves and mittens – some knitted for the occasion – for the GLOVES AND MITTENS COLLECT CANADA GAMES RED DEER 2019 program. All the items collected will be donated to an organization in the host city who will distribute it to people in need. Congratulations to these ladies of the club and a big thanks too.